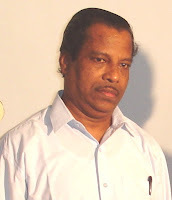 Application Form and the Information Bulletin in respect of the All India Engineering/Architecture Entrance Examination 2011 (AIEEE 2011) to be conducted on 24-4-2011 will be distributed from 15.12.2010 and will continue till 14.1.2011. Candidates can apply for AIEEE 2011 either on the prescribed Application Form or make application ‘Online’. Visit the site http://aieee.nic.in for all details and information updates. You will find many old AIEEE questions (with solution) on this site. You may search for ‘AIEEE’, using the search box at the top of this page, to access all posts in this context. The Preliminary Examination as well as the Final Examination would be objective type. Visit the site www.aipmt.nic.in for detailed information. You will find some old AIPMT questions with solution on this blog. You can access these questions by searching for ‘AIPMT’, making use of the search box provided on this page. 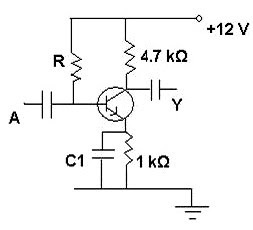 A thin flexible wire of length L is connected to two adjacent fixed points and carries a current I in the clockwise direction, as shown in the figure. 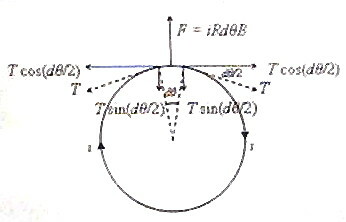 F = idLB = iRdθB, as is clear from the figure. The tension T developed in the wire is resolved into rectangular components T sin(dθ/2) and T cos(dθ/2) as indicated in the figure. 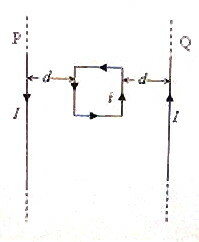 Two straight, infinitely long parallel wires P and Q carry equal currents (I) in opposite directions (fig.). A square loop of side a carrying current i is arranged symmetrically in between the straight wires so that the plane of the loop is in the plane containing the wires P and Q. What is the torque acting on the current loop? The resultant magnetic forces acting on the four sides of the current loop act at their centres. The forces on the opposite sides of the loop are oppositely directed as you can easily verify using Fleming’s left hand rule. 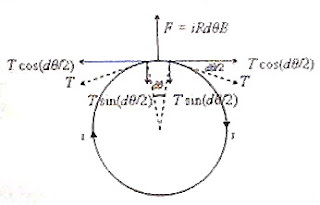 Since the lines of action of the resultant forces on opposite sides of the loop coincide, there is no lever arm to produce a torque and hence the torque is zero. Notification regarding the Joint Entrance Examination 2011 (JEE 2011) for Admission to IITs has been issued. This Joint Entrance Examination is for admission to the under graduate programmes in the IITs at Bhubaneswar, Bombay, Delhi, Gandhinagar, Guwahati, Hyderabad, Indore, Kanpur, Kharagpur, Madras, Mandi, Patna, Rajasthan, Roorkee and Ropar as well as at IT-BHU Varanasi and ISM Dhanbad. November 12 to December 15, 2010: Sale of Off-line application forms. (1) A particle A of mass m moving along the positive x-direction with kinetic energy K suffers an elastic head-on collision with a stationary particle B of mass M. After the collision the particle A moves along the negative x-direction with kinetic energy K/9. What is the mass of particle B? Since the kinetic energy of A after collision is one-nineth of its initial kinetic energy, the momentum of A after collision is one-third of its initial momentum. p = p’ – p/3 where p is initial momentum of A and p’ is the momentum of B after the collision. [The final momentum of particle A is negative since its direction is reversed]. The kinetic energy gained by particle B due to the collision is p’2/2M where M is the mass of particle B. The kinetic energy lost by particle A due to the collision is (8/9)×p2/2m. [Note that the initial kinetic energy of particle A is p2/2m and its final kinetic energy is (1/9) p2/2m]. (16/9) (p2/2M) = (8/9) p2/2m from which M = 2 m.
(2) A particle of mass m moving westwards with speed v collides with an identical particle moving northwards with speed v. If they stick together after the collision, what is their common speed after the collision? The total momentum before collision is the vector sum of the initial momenta mv and mv at right angles (since one is westwards and the other is northwards) and is equal to √2 mv acting along the north-west direction (Fig.). The combined mass is 2m. 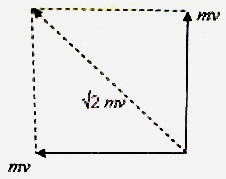 If V is the common speed, the total momentum after collision is 2m V, acting along the north-west direction.